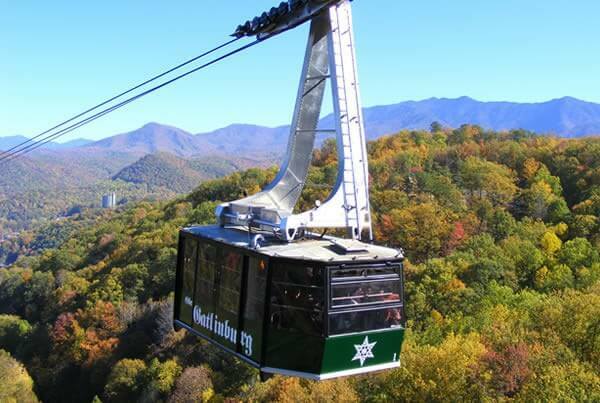 Ober Gatlinburg is much more than a tramway that gives you year-round views of the Great Smoky Mountains! It’s a four-seasons amusement park and ski area with ice skating, outdoor activities, shopping, and dining. The tramway is one of America’s largest tramways and departs right in the heart of Gatlinburg, taking you directly to the amusement park and ski area as you descend 2.1 miles and nearly 1,000 feet. Oh yes, and much more, because below you’ll find lots of other fun activities for the whole family. Alpine Slide—Have you ever wanted to ride a bobsled? The Alpine Slide is a dry track simulated bobsled. You’ll slide downhill on one of two 1800’ tracks, riding through the woods and ski trails. Don’t be too scared though, you can control your speed with a breaking device around the curves, straightaways, and hairpin turns! Scenic Chairlift—Want the views, but would rather skip a four-hour hike? They’ve got your cure. The scenic chairlift can give you some of the best views of the Smokies without hiking. This scenic chairlift is the south’s longest ride, a 15 minute ride to Mt. Harrison and plenty of opportunities for photos. And if you’re a bluegrass fan, May through November there’s a live bluegrass band at the very top of the chairlift. Wildlife Encounter—Never seen a black bear close up, but wanted to? How about a bobcat, skunk, owl, or river otter? Well you’ll be able to do that and more! The Wildlife Encounter provides a safe and comfortable area for native animals that can’t survive in the wild. See nighttime critters in the Nocturnal House and look them right in the eye. One main highlight is the otter feeding time. The whole family will love this! Ice Skating—Ober’s ice skating rink is 140’ X 75’ and indoors so you can skate at any time of the year. It’s the centerpiece of the enclosed mall in Ober Gatlinburg. If you don’t have your skates that’s not a problem, because there are over 400 pairs of rental skates for men, women, and children. You can skate all afternoon or just an hour if you like. There is no skating experience necessary either. Plus it can be reserved for birthday parties. Ober is a member of the Ice Skating Institute Competitions. Dine and Relax—High above the City of Gatlinburg you can eat at the Seasons of Ober Restaurant and the Loft Lounge at Ober with great views, brews, and selection of entrees from their menu for lunch or dinner. Have your weddings, receptions and parties there, up to 150 people. If you’re hungry for sandwiches, Mexican food and more, visit The Market. Grab a burger or pizza at the Sidewalk Cafe. How about specialty sandwiches? Leconte Deli can serve them up cold, steamed, or toasted. Last but not least, of course, you have to try a piece of homemade delicious fudge at The Fudge Shop. Shopping at Ober Gatlinburg—Shop on the mountain and also locations downtown on the Parkway. You can shop brands such as Helly Hansen, Kuhl, and Mountain Hardware. And who could forget the finest souvenirs from the Smoky Mountains, many made right here in Gatlinburg. Winter at Ober Gatlinburg—Enjoy skiing in the winter at Ober Gatlinburg. There are 10 slopes for all abilities and you can rent skis, snowboards, helmets, jackets, and pants. Need skiing lessons? There are lessons and terrains for all abilities. On all slopes there is 100% snow making and night skiing available. Don’t miss the freestyle terrain park, which is freshly groomed throughout the day. If you don’t like skiing, try tubing down a 300′ long snow-covered slope with a 50’ vertical drop. Don’t worry, no special skills or equipment required, but kids need to be at least 6 years old and 42″ tall to ride solo or over 3 to ride with an adult.